This piece was adapted from The Modern British Empire, Rhythm Prism’s first history book in its Reading for Fun and Comprehension series. Most recently, the essay was included in Exploration and Conquest: Stories of Indigenous Peoples. This book is designed for a mature audience. It includes material on French, Italian, Belgian and Spanish colonialism. The book tells its stories with the help of pictures. These reveal the experiences of real people who suffered the effects of European colonialism across the globe. In referring to the indigenous (indigenous means native to, or original) people of a territory, the word aboriginal is often used. 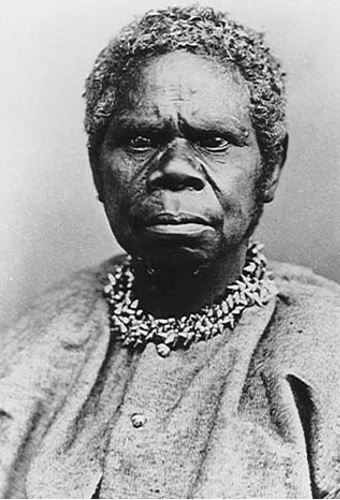 The indigenous people of Australia and Tasmania, for example, are usually referred to as Aborigines. This term is convenient but not very accurate. Just as there were different ethnic groups in Europe, so were there different ethnic groups in Australia and Tasmania. 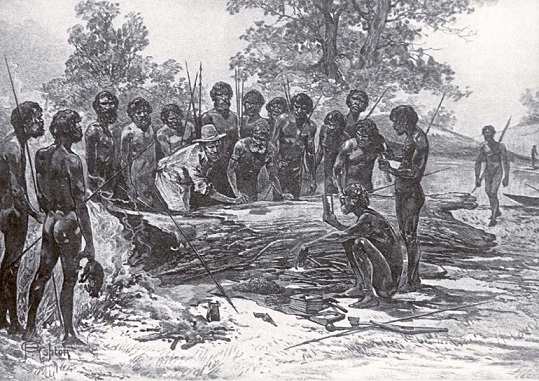 It is estimated that before European colonization of Tasmania there were between 3,000 to 15,000 Palawa living there. Britain colonized Tasmania (then called Van Dieman’s Land) in 1803. The British used the island as a penal colony–a place to send prisoners. “Transportation”, as the exiling of prisoners was called, was common practice in England at the time. Conflict between the British and local Tasmanians grew as settlement proceeded. In the 1820s, conflict became so widespread that it was called The Black War. The Black War has been described as one of the earliest recorded instances of genocide in modern times. Over the years, the Palawa people perished, partly as a result of violence and partly as a result of disease. The last full blooded indigenous Tasmanian,Truganini, died in 1876.